Intricately crafted from sterling silver, this stunning necklace presents a feather charm with fine details upon a fine chain. An elegant accessory to add stylish charm to your everyday wear. 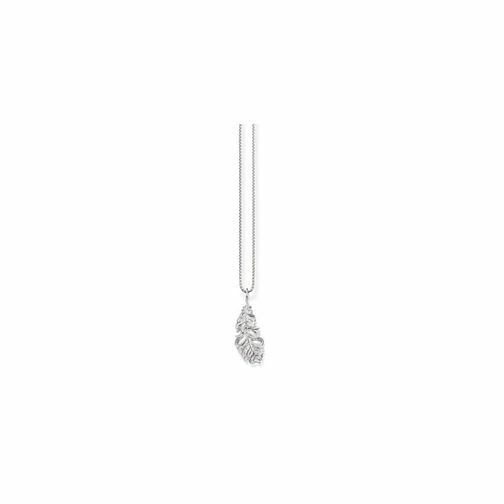 Thomas Sabo Sterling Silver Feather Pendant is rated 2.0 out of 5 by 1. Rated 2 out of 5 by Anonymous from Chain broke after one wear The chain broke and seemed poor quality. Not at all happy and the product was returned.